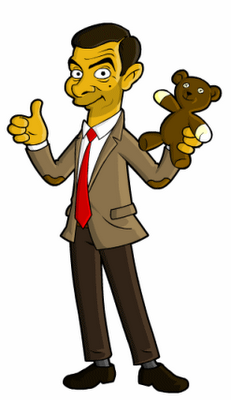 Simpsons + Mr. Bean = WIN! From the profile of Springfield Punx: Springfield Punx is a little pet project of mine. The idea of doing fan art parodying some of my favorite characters and stars in such a fun and simple style got me hooked immediately. Some of these guys and gals have appeared on the Simpsons and I could just work from that, but most I had to do from scratch. Check back often for new Punx!